Team Challenge Company were very excited upon arrival at the fabulous Novotel Edinburgh Park Hotel, to deliver a wonderful evening of Fun Casino Night entertainment for the enthusiastic team from Heineken. Having enjoyed a buffet and wine tasting experience, our guests were welcomed into the Hermiston Suite where a night of exciting entertainment lay ahead. Our Heineken guests each received a starting capital of £30 fun-money, and aimed to be named legendary gambler and spin their fun-money up as much as possible to take home the much-coveted Team Challenge Company Winner’s Trophy. With Roulette, Blackjack and Texas Hold’em Poker all on offer, and our professional croupiers on hand to provide assistance, this was sure to be a night to remember. There were numerous highlights throughout the Fun Casino Night experience. Callum was consistently winning all night on the Roulette table, slowly but surely he built up his chips before losing it all in the end. There was a similar story for Paige who had accumulated a fun-money total of £2300, and in a last ditch attempt to double her money, and win the trophy, she bet it on Blackjack, only to lose it all. Unlucky Paige! Further highlights came over at the poker table, where during our first tournament of the evening, Gareth went on a massive run (not sure if this was due to good play or good fortune) and he was the first winner of the evening, picking up a prize pool of over £300. With just a few minutes of the Fun Casino Night to go, there were frantic rebuys all over the shop, all guests trying their hardest to get that one big win that would see them crowned champions! When all was said and done, all those with chips remaining cashed in and waited in eager anticipation for the winner to be announced. But before all that, we had to find out who amongst the group was taking home the Wooden Spoon. There were certainly plenty of candidates, from Mark B who came to the bank on more occasions that anyone else, through to Andy, who obviously lost all ability to keep himself out of the red and in the black on the evening. However, there was one gambler who out-stripped all others when it came to losing money…the mighty Thomas, who managed to lose an impressive £440! Without further ado, our champion was to be crowned, and although she had lost some money throughout the night, she managed to get lucky on the Blackjack table and got her bankroll up to a massively impressive £8400 – it was of course, the one and only, Cathy! A fantastic night of Evening Entertainment had been enjoyed by all, with the amazing team at Novotel Edinburgh Park Hotel making the experience all the more special. 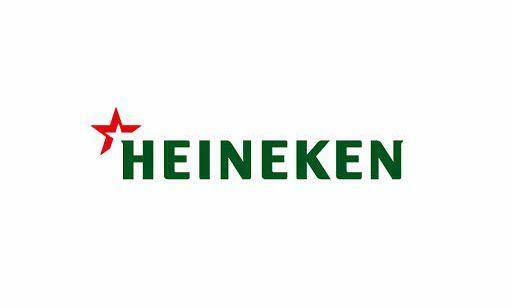 A huge shout-out and thank you must go to Helen and Emily for all their efforts in organising a wonderful night for the Heineken team – it was certainly a pleasure to work with you all, and we certainly hope to see you all again in the future. Big shout out to the stars of the Roulette table Simon and Calum. Both played admirably throughout the evening and were unlucky not to get the big break to take them to the trophy! It was a pleasure to work with the Heineken team once again and I look forward to the next time our paths cross.